High quality studio snake supplied by DAP AUDIO. Wired with eight ¼" Jack plugs to eight ¼" Jack plugs. 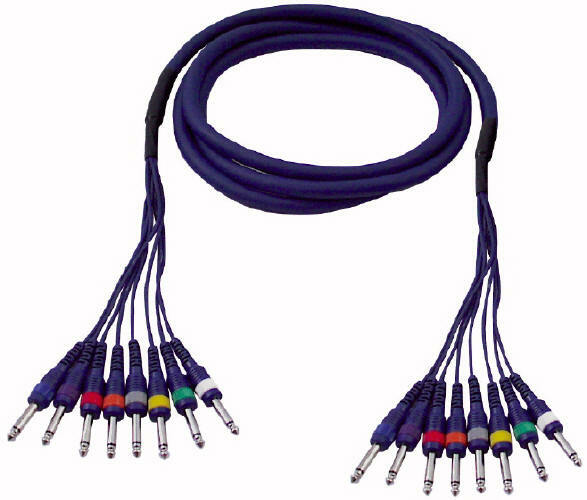 These leads are clearly numbered/colour coded and constructed to a professional standard. Manufactured from low noise oxygen free cable, with heavy duty moulded connectors.